A faint smell of diesel managed to settle inside my nostrils in spite of the red clown nose covering them. Making my way to the train, the smell was joined by a burning unreachable itch, followed by a potential sneeze, aching to blast its way through the rubber nose glued to my face. All discomforts aside, Tater the Tramp had some magic to do, and some people to meet. This Make-A-Wish Train, filled with special kids, was about to pull out of the station, leaving their troubles behind for a while. A mighty band of clown friends, along with an army of entertainers, magicians, singers, face painters, balloon artists were along for the ride too. BNSF Railway of North Texas, based in Fort Worth, brought a special train with luxury cars into the Stock Yard Station to provide a joy ride for medically fragile children and their families. They had no difficulty filling it with fun for the Make-A-Wish Foundation as entertainers of all types rallied together to bring their healing arts on board. Sharing their gifts with these beautiful families, performers with heart helped these brave kids put their struggles aside for a few hours to be surrounded by joy and wonder. Even through difficult times, we have incredible capacity to use love to strengthen our endurance of suffering to experience joy. Creating joyful moments in clinical settings and elsewhere is my mission. The nurse part of me seeks comfort and relief for my patients, easing the mind and healing the spirit when health is challenged. Creative presence and clinical understanding work well together, behind the red nose. Magic has its way of finding us in the most unlikely of places. The joy we offer to others through art, returns to us in the very act of doing it. We are all on the same train, going the same direction. The rails are set in perfect parallel for each of us. We should enjoy the ride as much as possible together. “Trains move swiftly to their journey’s end.” The lyrics from “Believe” (Polar Express) remind me that we are only together for a brief time so we should try our best to appreciate the present moments fully. We move forward and onward, whether we are paying attention or not. If we can stay in touch with our own inner child, and with each other, we will do better to experience fuller lives staying connected in the moment. Christmas has this magic message too, and it is something that we could carry with us all year through. As the train returned to the station, Brett, Robyn and I were now friends. Artists from different worlds brought together in this common work of compassion. There is no greater calling in life than to offer your gifts to others. Brett shared his knowledge and friendship to make my magic stronger. Healing magic is something we can all use in our lives. When it seems the magic slipped away, we can find it again. I’ll leave you with this Vocal Majority performance of “Believe” in hopes you will find your magic too! And now for a big dose of pure Happy from the O’Jays..Just because it’s Friday, and I just learned how to link videos into my blog posts! So get up and dance! Right now. Wiggling in your chair doesn’t count. These lyrics from “Be Still My Soul” touch my heart, and are a powerful reminder to me that friends make life worthwhile. We support our friends through trouble and triumph, sadness, and even in death. “..when all is darkened through a veil of tears” we know our friendship has not ended, it has only changed locations. I lost a very close friend 2 short years ago, and his impact in my life continues on through my clinical performance art mission. Magic Nurse was a concept and a passion I was trying to incorporate into an effective mission to relieve suffering through art. My friend Brett Wolf was a great magician with a servant’s heart, who encouraged me to develop this concept organically, and let it grow into whatever it would become. Any purposeful effort of good intention will find its way into the light of the world. Brett was a kind and brilliant man, and I am a better person for knowing him. As long as I have breath in this life, I will try to honor the memory of my dearest friends, and minister to a distressed world through my art, on their behalf as well as mine. I’ll carry the torch a little way further, with hopes some of my friends will pick it up again and keep it going when my time is done too. “Be Still My Soul” reminds us that no matter what happens, love keeps moving forward. I truly believe the arrangement for “Be Still My Soul” was delivered by God to Jim Clancy to be penned as a prayer for his chorus. Standing on the risers, tucked inside a massive arc of 100+ guys, we each discovered immediately that this song cut deep into that walled off place inside, where men stow their sadness and bury their fears. The Vocal Majority is the greatest men’s barbershop chorus in the world. The bonds of friendship among the men in this group is very strong. At the direction of Jim and Greg Clancy, we become one massive instrument of pure vocal music excellence. We work in the art of harmony. When we are together, we are doing God’s work to enrich the lives of others through our music. There are a few profoundly moving songs that affect us with such intensity that it causes tears to flow as we sing. Not just occasionally, but nearly every time we perform them. “Be Still My Soul” is one of those songs where tears come quickly for me. I felt empathy in those moments when Clancy connected with his men, so deeply moved, as he directed this arrangement. Jim’s expression changes for that brief second of acknowledgement. Then he continues his gaze across the risers to find another tearful face, then another, and another. I know I am not alone. The men to my left and right, are also remembering loved ones beyond the veil of tears too. When Jim’s eyes light upon me for a moment, he knows my grief is there, just behind the joy of singing this incredible song. With kind reassurance, he directs us all gently on; pouring out our souls for those in the audience who need this message also. That is, after all, why we do this. During the recording sessions for the album “Then Sings My Soul”, the latest Vocal Majority CD, every guy knew inherently that we were creating something very special. A spiritual collection of songs that touched on every aspect of the wonderful gifts and promises our loving God offers us. We knew, as we offered our voices to this project, that a small piece of ourselves would stay here on earth and minister to people, long after we passed on. I told my wife the very night we recorded, “Be still my soul” that it must be played at my funeral. My kids needed to hear that incredible mix of voices, and know their father was in there doing what he loved. My heart continues on for them in the music we made, when I go to be forever with the Lord. The chorus members know too well that life is fragile. In time, we know we will come together for another solemn purpose, with great sadness, to offer up prayerful tributes for other fallen brothers who will leave their places on the risers too soon. As we have done so many times before, we honor our friends and sing them into Heaven. Our band of brothers feel a deep connection through the music we create with each other, that when one voice is missing, it affects all of us. We never take for granted the moments we have together as a chorus. Many have gone before us, and many more will come after. I see the faces of my dearest friends who left this life too early, when we perform this song. I lift their memory as a blessing in tearful prayer each time. Then quietly wipe my eyes afterward, trying not to draw attention, composing myself for the next song. I am grateful when stage lights are brought down. Drying the tears, I hear a quiet chorus of sniffles in the darkness. I am not alone. Dearest friends, I pray you find the comfort in these lyrics we men of the Vocal Majority intended you to have. “Be Still My Soul” is our gift to you, especially if you are feeling grief or pain. You will hear love in our voices. Love that endures forever. When we recorded Be Still My Soul, we knew God was with us that night. The silence between the notes had as much majesty as the harmonic chords had, ringing with overtones. Angels rested above us and made sure this one was a keeper! Visit: www.vocalmajority.com to learn more about this amazing organization. We are on YouTube also! Of all the artistic projects I am involved in, performing with the Vocal Majority has opened up every creative gift God has offered me. There was a divine hand that guided my way through magic, music, clowning, and performing art to bring me to this chorus. 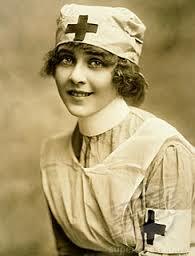 As a Registered Nurse, I combined all my creative arts to become a “Magic Nurse” to find creative ways to heal others. This is not just entertainment, it is spiritual healing and compassionate presence. My batteries are recharged every Thursday night at chorus rehearsals. The magic of this work allows me to take that love and friendship to the bedside of my patients. It motivates me to help others find their own magic too. If you are in Dallas on any Thursday night, I invite you to visit! Guests are always welcome to join us on the risers, our rehearsals are open. Sign in as my guest and lets sing together! Life is too short to miss opportunities to use your gifts. Farewell to the New Underclass of Registered Nurses! After years of progressive Nursing engineering, Associate Degree Nurses (ADNs) were finally voted off the island. Diploma nurses have also gone the way of the dinosaur. We call this progress for the advancement of nursing as a profession. The old RNs of yesteryear, whether diploma nurses or ADN, are no longer needed at the bedside, unless they return to school to get a Baccalaureate Degree to stay in the game. Most organizations have already emptied their clinical ranks of LVNs, Licensed Vocational Nurses. Now it looks like RN’s with less than a BSN are next to go. Many RNs feel Magnet accreditation is to blame for these educational requirements. That is only partly true. Magnet accreditation is Designed to attract BSN nurses to facilities with higher nursing standards. In spite of common belief, Magnet does not have ADN to BSN ratios for accreditation by the ANCC. (American Nursing Credentialing Center). I cannot imagine it was intended to penalize existing RN’s with Associate degrees. However, Magnet does expect Nurse Managers, and Nurse Leaders to have a BSN. Hospitals define their own internal educational advancement goals for nurses, then benefit by meeting those stated goals. Hospitals working toward meeting Magnet standards have already adopted new-hire preference for BSN nurses. Some ADN nurses are accepted, provided they are actively enrolled in BSN programs. Filling vacant nursing positions has been a struggle for as long as I can remember. The main driving force for the BSN standard into nursing comes from the Institute of Medicine. In 2010, new demands were raised requiring the nursing profession to have 80% of all nurses to hold bachelor’s degrees by 2020. My hospital has accepted that request. Notified in writing: all RN employees must have a BSN at the turn of the decade. Several nurses chose to go back to school to stay onboard, many others chose otherwise. On January 1, a sizable number of ADNs with several years of valuable experience will be leaving. I appreciate the intended goals set for our profession. I am proud of our nursing heritage and the advances we have made in the last 100 years of Nursing Practice. New nurses entering the profession will follow this honorable call to service and advance our practice. Doctorate level nurses will increase with this new push for advanced degrees also. 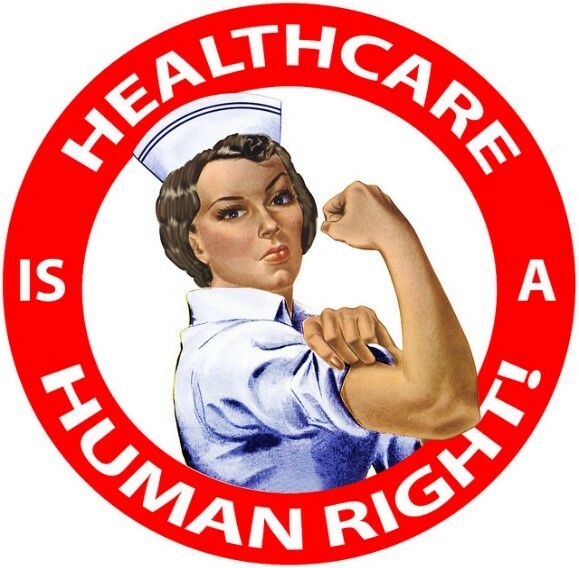 The great nurses of my generation will step aside to let them nurse on. The next 100 years of Nursing could see technological miracles we cannot even imagine. As two pathways into the profession are closing, I fear there may be fewer people drawn to the field due to higher educational costs and time commitments. There are people from all walks of life who are called to be caregivers and comforters to the sick. Many middle aged adults enter the field as a second career, to give back to their fellow humans. The Diploma and Associates programs were a fast track to the bedsides of those who would benefit from such love. ADN nurses, bridging to earn the BSN, are getting a pretty good deal though. Most, if not all, school expenses are reimbursed by hospital employers. Many hospitals offer tuition reimbursement for advanced clinical education too. My hospital is among the best for this. The future is actually bright for Nursing. What gives me pause however, is how we are failing to honor Nursing’s past at this mile marker. We will say goodbye to some talented nurses needlessly, as healthcare plunges into an unknown future. I think we need to find a better alternative for hospital nurses. Many have only a few years left to go, before they would have finished their careers naturally. Average age of nurses is steadily increasing. 53% of working nurses today are over the age of 50. I see no value in sending anyone off into the sunset before their time. We might get another 10 or 15 good years out of them. . In the twilight years of our nursing careers, many older nurses stay in it for the pure love of caring for people. Experienced hospital RNs, regardless of their degree, help new nurses stay safe and secure as they grow into their careers. I feel it would be a tremendous waste of talent to let good nurses slip away too soon. We really should be asking them to stay! It could benefit us to grandfather these awesome nurses instead. (or shall I say “grandmother”) Let them finish their careers with dignity. Let’s respect the years they have already given us, by allowing them to choose when it is time to lay down the stethoscope. Crush Your Fear of Writing! There are terrible things nurses experience in our work that would completely freak out the average, non-medical person. How many times have you been asked, “What’s the worst thing you have ever seen?” and replayed an endless stream of visual human tragedies burned into your memory. I have one or two stories that quickly end this line of questioning. Nurses have stories to tell, and you could be telling them in your own blog. Even the gross ones if you like. Writing a blog is like having your own online magazine. You can post anything you want and share your creative thoughts globally. Many popular blogs have thousands of followers on every subject. You can write about anything you want and find yourself connecting with others who dig what you have to say. If you are not following any bloggers, you are missing a whole new world of online publishing that is all the rage. Blogging has become the new medium for information exchange, and we all have access to share in it. Starting a new blog is free on many popular blog sites. Two of the most popular are WordPress.com and BlogSpot.com. You can start with a free introductory site for as long as you wish. You may upgrade your site later, as your writing takes on a life of its own. You are head author, photographer, and publisher of your own online journal. Write your best stuff and you can share your creativity with the world. As you continue to improve as a writer, you may even decide to write your first novel. Then there is no turning back. Writing is a talent we are using every day in our work. Writing can be fun, and many nurses may not be taking advantage of creative writing as an outlet for stress. Writing offers opportunity to record your knowledge and experiences in your life and career. You can also write from the heart to express the emotional side of our work. We share in the triumphs and tragedies of the people we care for every day. We have feelings about what we are experiencing too. Turn your thoughts into words, and let your voice be heard. We never share specific patient information of course. We are free to share our work in more general terms. We can speak of medical matters without violating any confidentiality. Poetry and fiction are also ways to share our nursing heart. Unburdening ourselves in a creative way allows us to express the intensity of what we do as nurses. We have tools today where anyone who desires to have a voice, can create and publish stories. Readers across the world can find and follow you as we used to follow our favorite columnists. Many people are blogging today, and it is growing every year. There is no reason not to start right now! Just try it. You’ll be surprised how much fun writing as a hobby can be for you. If you are timid about putting your work out there, keep your writing in draft mode until you are ready to post and share. Free your mind and get used to sharing your ideas. You will get so much back the more your share! Oh and by the way, thank you for visiting my blog! Be sure to subscribe and share my site with all your friends. I will follow you too! I can’t wait to hear your story! Grapevines planted today. Cat approves. Chicken hugs are the best!